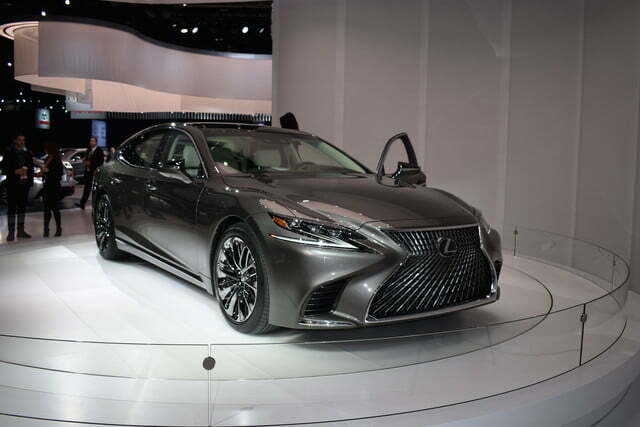 One of the stars of this year’s Detroit Auto Show is the 2018 Lexus LS. 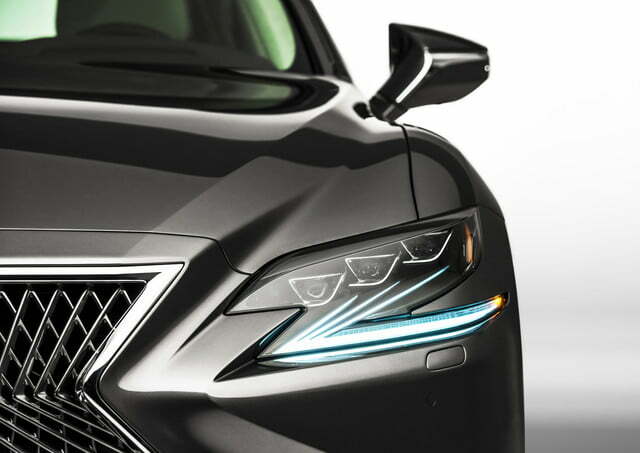 Now in its fifth generation, the Japanese brand’s long-awaited new flagship sedan is more stylish than ever before, but that’s just the tip of the iceberg. 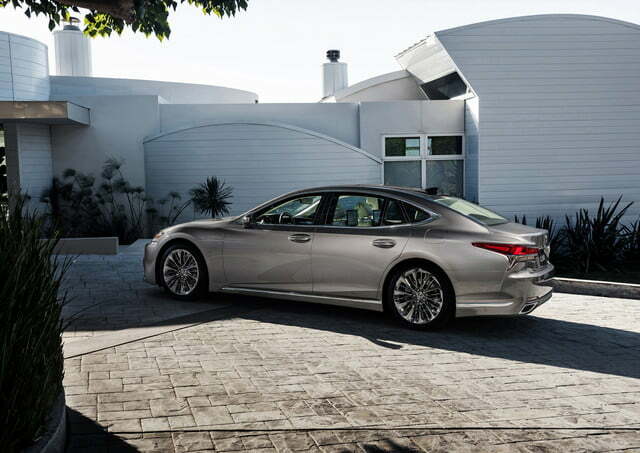 The LS is built on an extended version of the rear-wheel-drive platform that underpins the 2018 LC coupe. It’s consequently longer, wider, and lower than the model it replaces. 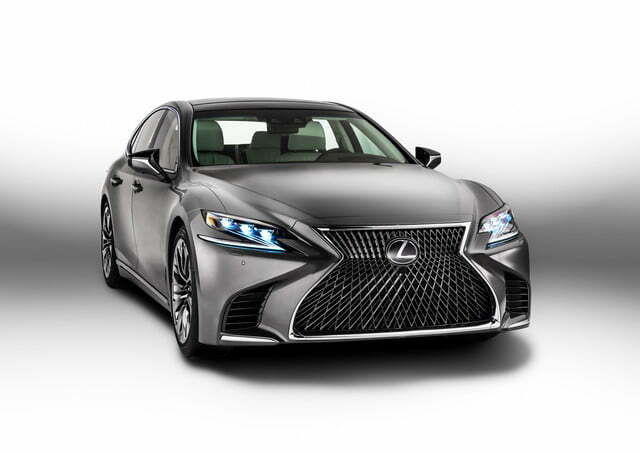 Its front end falls in line with Lexus’ current design language by adopting styling cues such as swept-back headlights with V-shaped LED daytime running lights and a huge rendition of the company’s spindle grille. 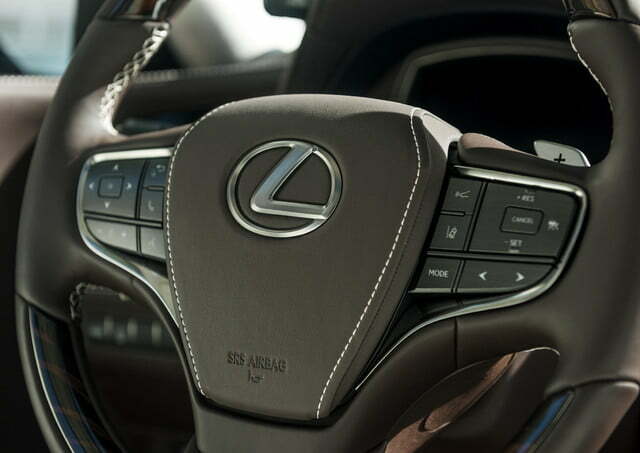 Lexus’ team of designers turned to Japanese culture for inspiration when they were drawing the interior. 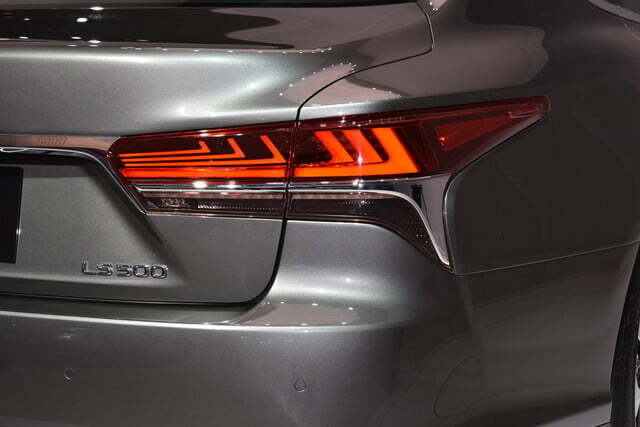 The ambient lighting mimics the light of Japanese lanterns and the armrests appear to float next to the door panel. 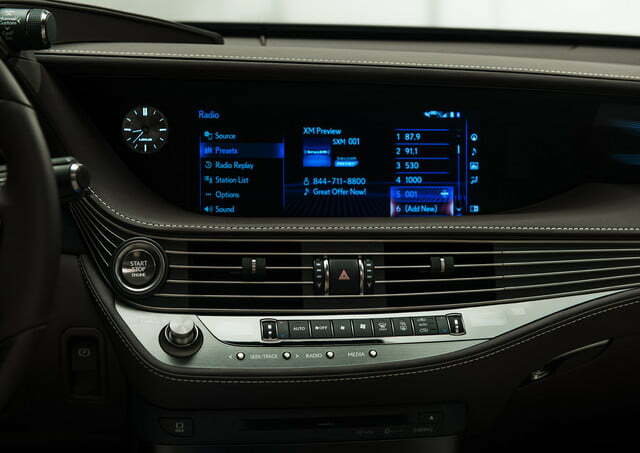 Finally, the real wood trim on the dashboard is inspired by Shimamoku wood patterns. 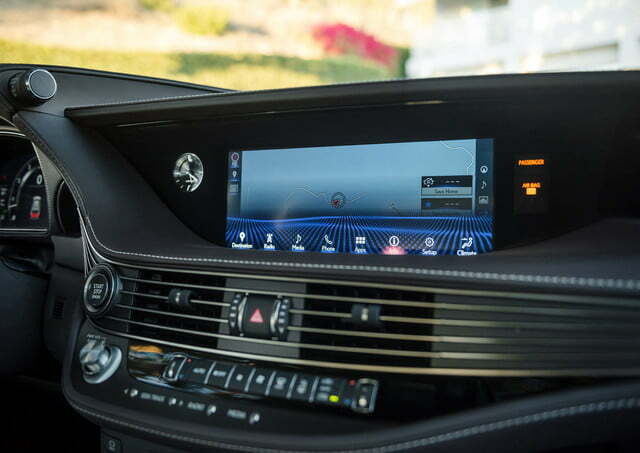 The traditional aspects of the cabin coexist with state-of-the-art tech features, including a 12.3-inch screen that runs the infotainment system and an optional 24-inch color head-up display that Lexus promises is the largest unit of its kind in the world. 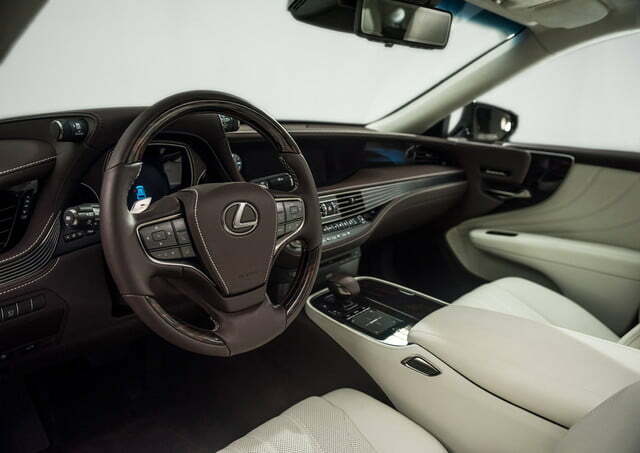 Luxury car buyers who choose to be chauffeured in the LS won’t be disappointed. 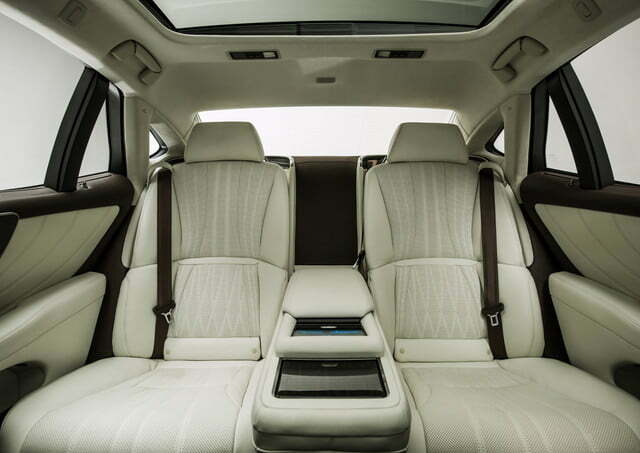 The list of options includes rear seats that are heated, cooled, and programmed to give the passengers a Shiatsu massage. 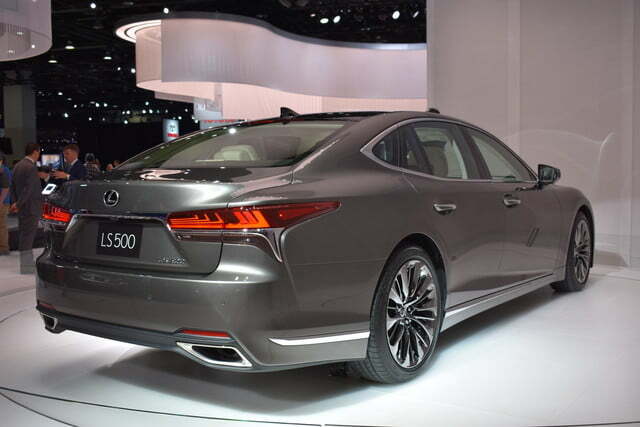 The sedan offers the most rear legroom of any LS in the nameplate’s history. 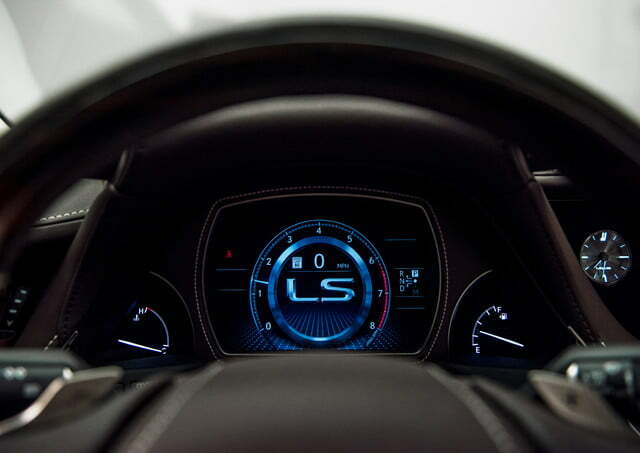 The LS’s engine bay is home to a new, 3.5-liter V6 engine fitted with a pair of turbochargers. 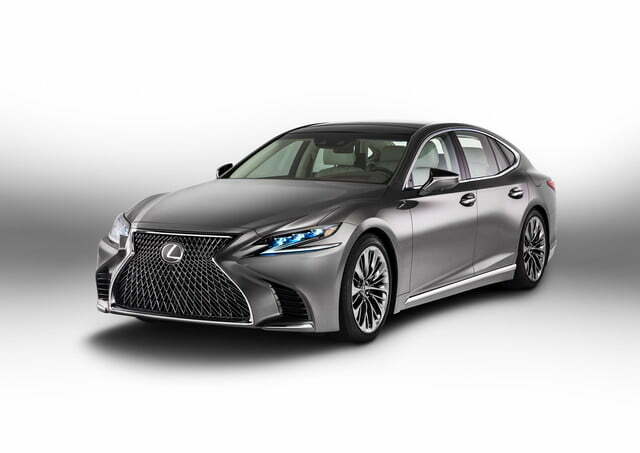 It produces 415 horsepower and 442 pound-feet of torque, figures that top the current LS’ V8 engine by 29 hp and 75 lb-ft. Channeled through a 10-speed automatic transmission, that power pushes the big sedan to 60 mph in 4.5 seconds in rear-wheel drive layouts. 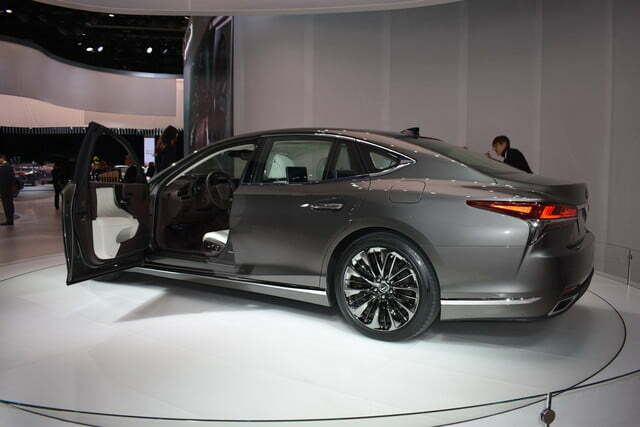 The hybrid LS 500h uses the same powertrain as the LC 500h Coupe — a 3.5-liter V6 gasoline engine with two electric motors. 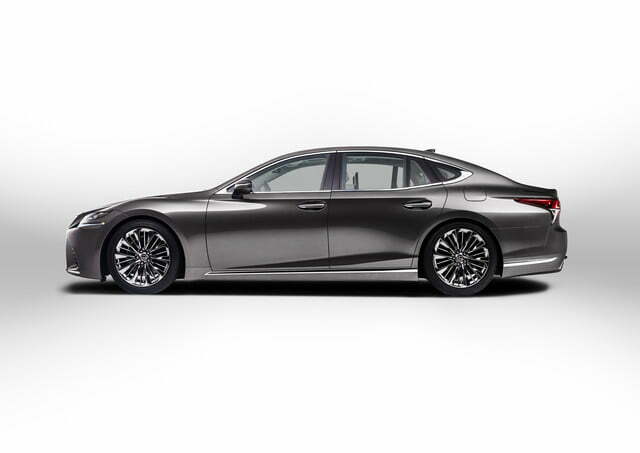 Total output for the fuel-sipper is 354 ponies, and Lexus says it can drive more than 600 miles on a single tank. 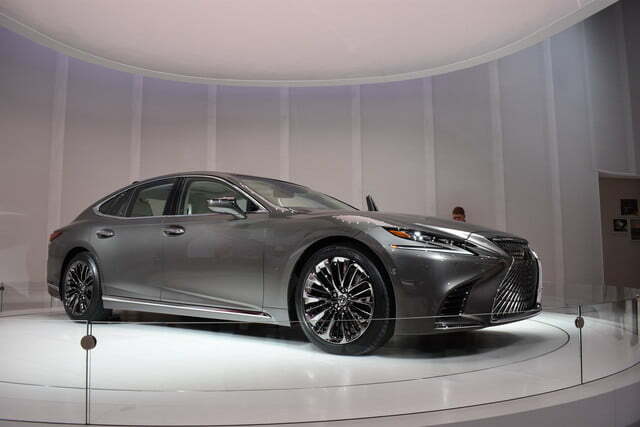 Engineers were explicitly asked to take the LS in a sportier, more dynamic direction. That was easier said than done because they were also told to retain the high level of comfort that the model is known for. 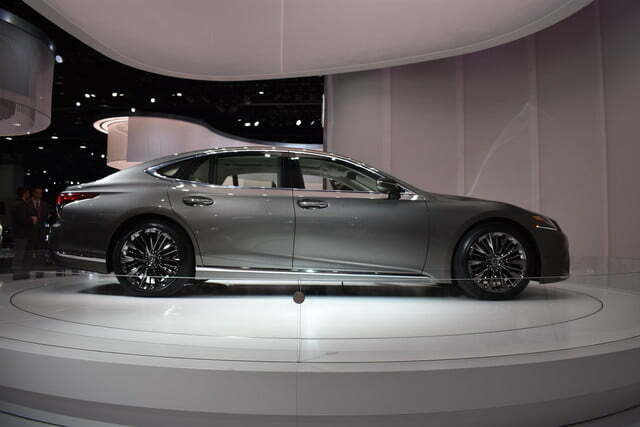 They started with the stiffest platform in Lexus history and stretched it to obtain a 123-inch-long wheelbase. 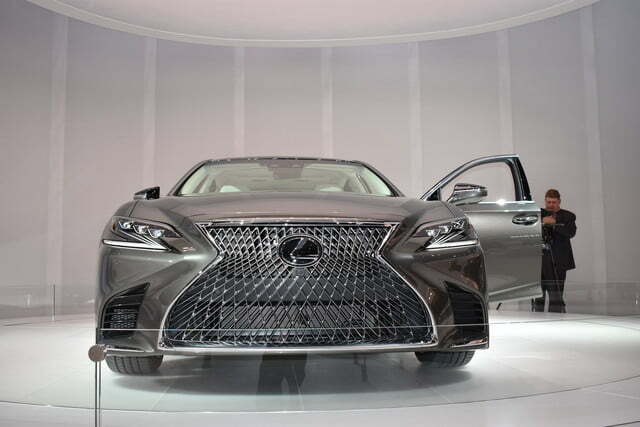 Using lightweight materials such as ultra-high tensile steel and aluminum helped them make the new LS more than 200 pounds lighter than its predecessor. 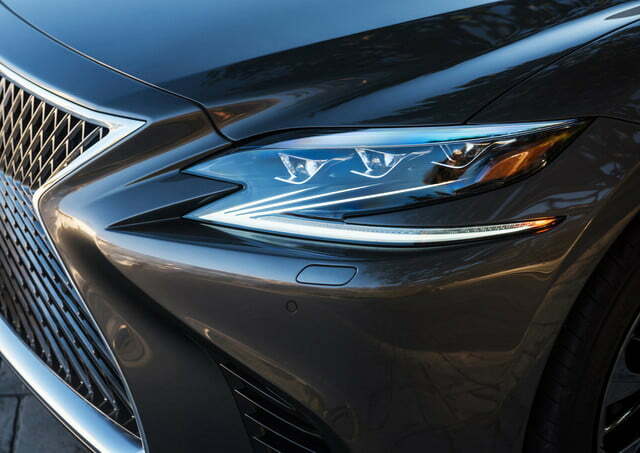 Lexus’ Vehicle Dynamics Integrated Management (VDIM) technology controls virtually every single movement the LS makes to enhance the ride quality, while independent front and rear steering systems improve handling. 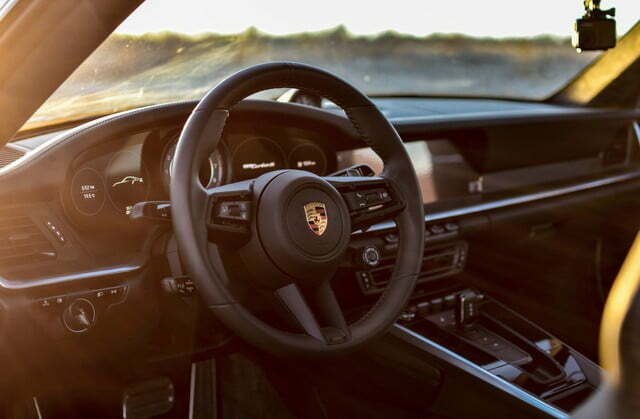 The sedan offers several driving modes including Normal, Sport, and Sport +. 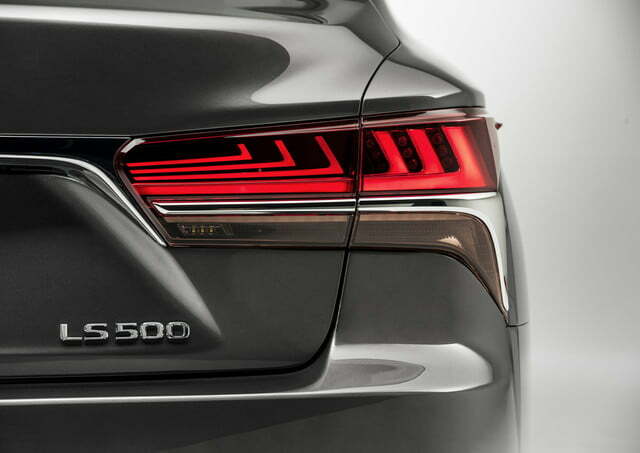 The 2018 Lexus LS is scheduled to reach showrooms in early 2018, with a starting price of $75,000 for the rear-wheel drive base model. 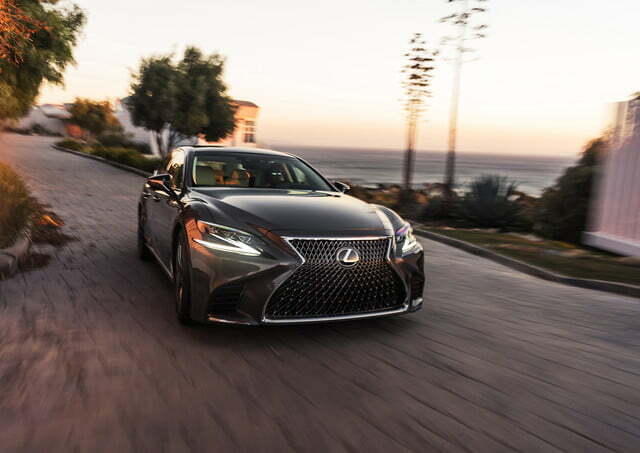 The hybrid is a bit spendier at $79,510, and the F Sport model — which adds rear steering, variable gear-ratio steering, and active stabilizers — runs 81,000. Opting for all-wheel drive on any model adds $3,220. Update: Added official pricing information and hybrid details.